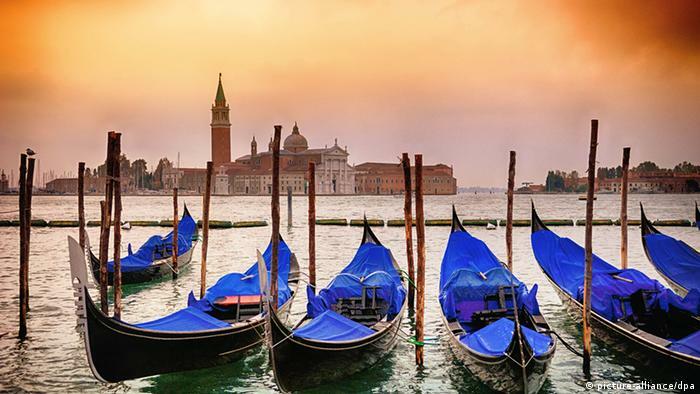 Twenty film directors are vying for the Golden Lion at the 71st Venice Film Festival, which kicked off this week in the Italian city of canals. A nine-member international jury, chaired this year by French composer Alexandre Desplat, is tasked with deciding who wins the coveted prize. Desplat is the first musician ever to head a major film festival jury. He studied piano, trumpet and flute, and has collaborated with world famous directors including Stephen Frears, Kathryn Bigelow, David Fincher, Ang Lee, Wes Anderson and Roman Polanski. 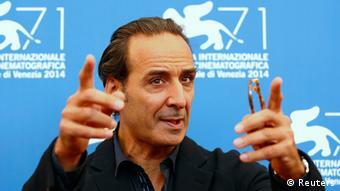 DW: Mr Desplat, it's the first time a composer of film music has been chosen as jury president in Venice. What does the role mean to you? 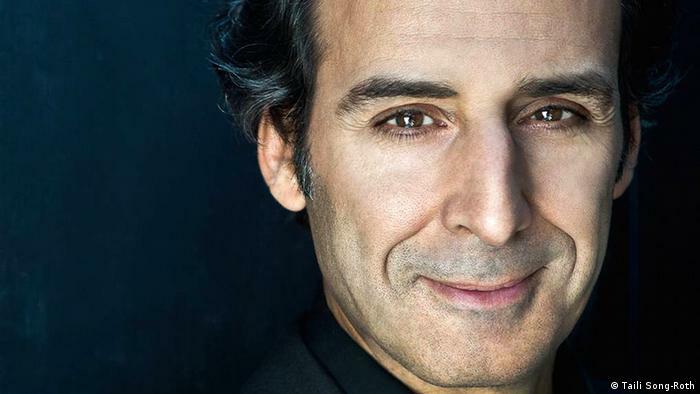 Alexandre Desplat: When you think about it like that, it is very strange. The composer is the third author of a film - the director and the screenwriter come first, and then the composer. We have performing rights to a work. And when you look back through the years - in Venice, Cannes, or in Berlin - a composer has never been asked to be jury president. You can't say that great composers like Nino Rota, Maurice Jarre, John Williams, Jerry Goldsmith or Ennio Morricone haven't got a sense of cinema. They had, or still have, a sense of cinema - a great sense of cinema even, and a great knowledge of cinema. But nobody before this year's festival director, Alberto Barbera, had the audacious desire to do it. So I am very grateful and happy that I have the opportunity to do it, and I hope to pave the way for the next festival to include composers on the jury or to even make them president of the jury. How can you be certain you'll be able to remain objective, and not just award the top prize to a film with a great score? You know, it's very difficult to judge a movie on just one element. When a movie is good, there is the right vibration between everything: the subject, the script, the directing, the actors - and the music. But if one of the elements is missing, it doesn't make a great movie. In great movies, everything is linked together. A good score in a movie that isn't great as a whole isn't as important. I will only pay attention to music when it's part of the story, when it's connected to the pictures. When you watch a really good movie you have to be surprised, you have to be moved, you have to be excited. That is all we ask of cinema: excitement. As a composer, what do you hope for when you receive a script for a new film? I always hope for a perfect combination of all these elements. That's what I hope for. It's difficult to make a great movie. How many masterpieces are there each year? Not so many. So you can always hope that you are asked to do it. How does your work as a composer start? Does Roman Polanski, for example, just call you up and tell you about his new film? Yes, Polanski called me, for example, or George Clooney, or Stephen Frears. And then we talk. I guess they had heard my work and they knew my approach. They know the type of sensitivity I have to a film, and how I like the music to be played in the movie, my comprehension of the dramaturgy. That's why they call me. And we have fun. So do you start the process of working on the film's score early on when you get the script? It's like reading a book - you finish the book, but it's still there somewhere in your head. So you finish the script, and then maybe something else happens and you start working on another film. 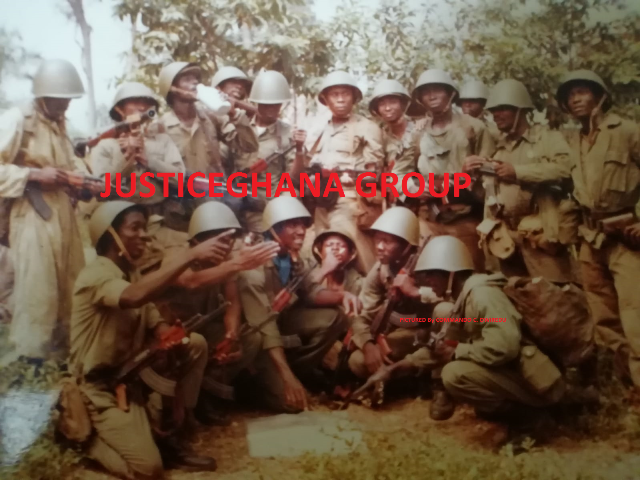 Then one day the movie is ready and you can start working with the images. But because you read the script at the beginning, it's been working somewhere in your brain. Sometimes it's different and happens at the very last minute. With "The King's Speech" I was shown the film right away and it had a different tempo. Sometimes you have to run long distance, sometimes you have to sprint short distance. You have to be a real athlete. Do you sometimes sit down and compose something without even having watched the film? You know, composing happens everywhere. Composing is thinking, not playing. It's getting a concept together, the sounds that will fill the film - the tempo, the orchestra, the colors. A melody often starts with a tone, the combination of some sounds, a certain pace. And when the films is ready, you try with this idea. You might be wrong, and in that case you try again. It's interesting that you have worked on such a range of different films, from "Harry Potter," to "Fantastic Mr. Fox," to "The Queen." Well, it's the same with watching films - you don't see the same types of movies all the time. You see an action film, you see a fantasy film, then a drama and then a comedy. You can't see dramas all the time or you would get bored. It's the same for me when I write music. I want to write for different types of films. I wouldn't be happy just composing for drama or just for comedy. I think it's more challenging to go from one topic to another, to take some risks. Are you completely free to compose what you like for a film? For example, can you say: this film needs jazz, or that film should have classical music? You never have complete freedom. It's a group thing. It's an artwork you share with many other people, including the screenwriter, the actors, the production design, and the costume design. It's a collective job and I am one of the elements. I'm not free, but that's fine. When I chose to become a film composer I knew I wouldn't be a free artist who could do whatever he wanted to. But I am free within the frame that I have. So it depends what the frame offers me. When I feel the frame is too limited or too narrow, maybe I'll choose not to go on that journey. But when I feel that the frame is wide enough for me to be inventive and creative, it's fine, and that's the idea. I dedicate my work to the film, not to myself. That's the whole idea of composing a film. 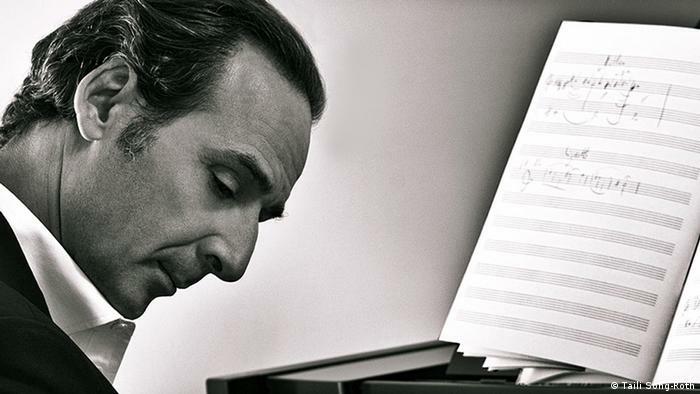 Alexandre Desplat was born in Paris and fell in love with cinema at an early age. He set his sights on becoming a film composer, and grew up listening to world music, movie soundtracks, jazz and French symphonists. He first started working on films in the 1980s, and got his big break in 2003 with the soundtrack for "Girl with a Pearl Earring." He has since worked on a range of successful films, including "The Queen," "The King's Speech," "Zero Dark Thirty," "The Curious Case of Benjamin Button," and "The Grand Budapest Hotel." He has received several international prizes and awards, as well as six Oscar nominations.